Dress to impress: You never get a second chance to make a first impression. It doesn’t matter what you think you know about the company’s dress code. Dress it up! There are candidates I couldn’t even listen to during the interview because I was so disappointed they didn’t take it seriously enough to spiff it up a bit! Do your research: Know and understand what the company actually does and how the role you are interviewing for fits in. If you can’t figure it out on your own, ask the recruiter or HR person setting up the interview. If they don’t know, bring it up in the interview. Ask questions: Most interviewers will open it up at the end for you to ask questions. Be prepared. Have a list. 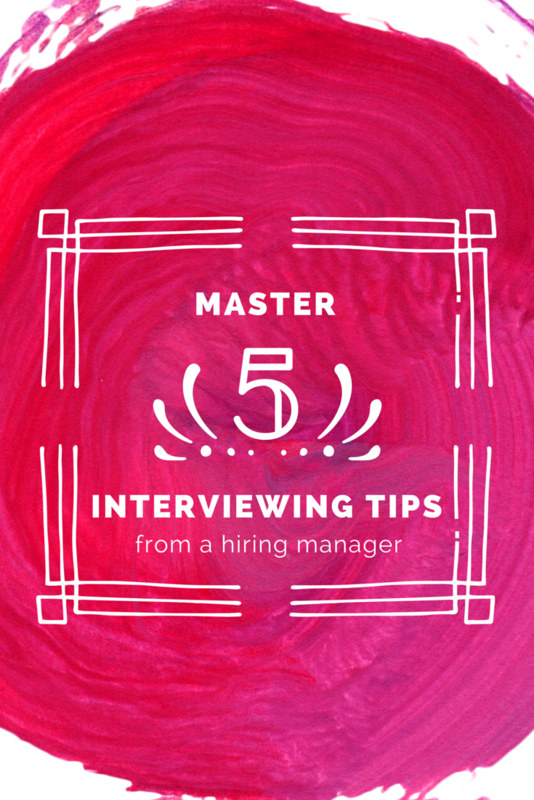 BUT, you should always ask questions along the way and work to make the interview an interactive dialogue. When I have two quality candidates for the same role, the tie breaker is most often who asked the best questions. Make it personal: I have hired more people that I felt a personal connection with during the interview process than not. It is ok in most interview settings to have small talk at the beginning and end. Work in personal anecdotes. Show the interviewers you are a cool person to work with. Have a deliverable: Whether it is a hard copy of your resume, a printout of a presentation, or personal business card, do not leave the interviewers empty handed. I don’t think I have ever hired a candidate that didn’t leave something behind.